Hi Boris, thanks for this I did wonder if that would be it, just one other question I need to make the sub labels (on screenshot 'First Name') white out but the actual user infill in black. 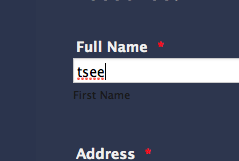 In designer if I stipulate white label text it also makes infill text white too? For sub label color, you will need to inject a little bit of custom CSS into your form. I'm afraid that I'm unable to find any forms in your account that have such a dark blue background, so I am not sure which form exactly do you need help with. 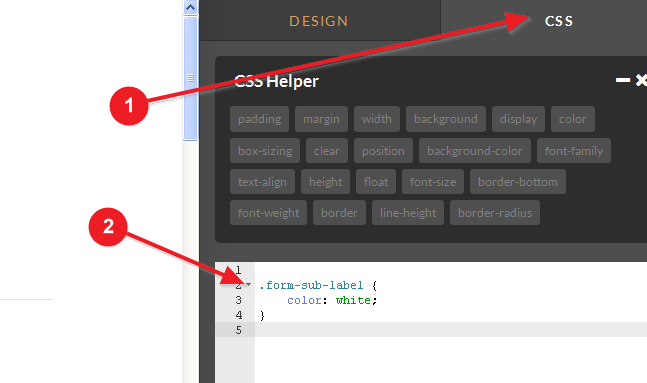 Note that you can also add this custom CSS from the CSS tab, directly inside the Designer.